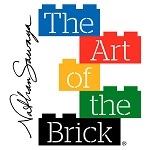 The Indiana State Museum is currently hosting “The Art Of The Brick”, a blockbuster exhibit featuring over 80 sculptures made entirely of LEGO. Created by artist Nathan Sawaya, the exhibit will be on display through January 6 and is included with regular museum admission. See how the simple LEGO brick can be transformed into an artistic medium through original sculptures such as fan-favorite Yellow and recreations of world-renown works of art like Da Vinci’s Mona Lisa and Van Gogh’s Starry Night. As winter weather sets in and school lets out for the holidays, this exhibit would be an engaging indoor activity to fend off winter boredom. Visit the link below for more information and to purchase tickets.